Israel's Benjamin Netanyahu on Friday asked Baltic state leaders for help in convincing the EU to step up pressure on Iran and slammed a Brussels aid package for Tehran. Lithuania's prime minister had earlier proposed talks between the EU and Israel on terror threats and security issues amid tensions over Iran and with the Palestinians. "I unabashedly asked for the help of my friends here in correcting what I think is a distorted position, a distorted view on Israel in the EU," the Israeli premier told reporters at a news conference in Vilnius with his Estonian, Latvian and Lithuanian counterparts. 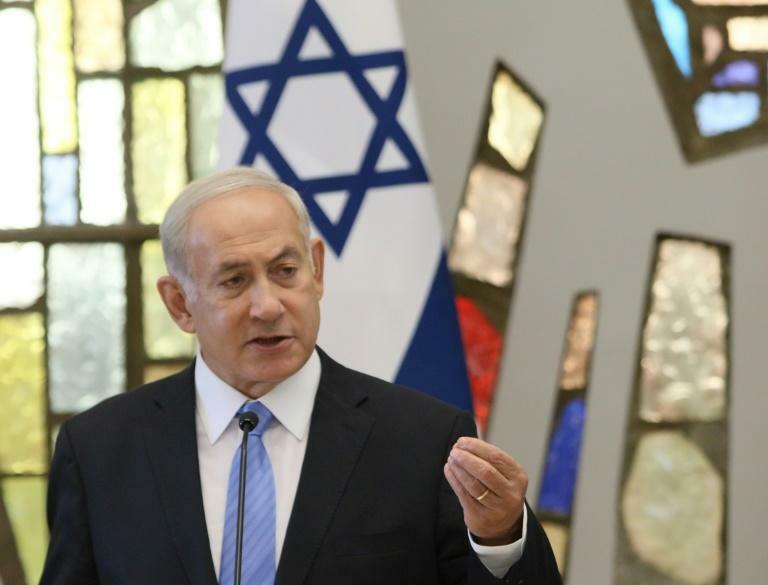 Netanyahu said the EU failed to "fully understand" Israeli policy on Iran, insisting that Thursday's announcement by the bloc of an initial payment 18 million euros ($20.9 million) for Tehran was "a big mistake". The EU said the funds, part of the landmark nuclear pact concluded with Tehran in 2015, was the first of a wider package of 50 million euros ($58 million) for Iran intended to help it "address key economic and social challenges". But Netanyahu urged a tough approach, hailing the renewed US sanctions on Tehran. "All countries should join the efforts to restore sanctions on Iran in order to press them to stop their aggression and desist on their terrorist activities," he said. Donald Trump pulled the United States out of the nuclear pact between world powers and Iran on May 8, reinstating Washington's sanctions on the Islamic Republic and on companies with ties to it. The EU, however, has vowed to keep providing Tehran with the economic benefits it received from the nuclear deal, although many of its bigger companies have already pulled out of Iran for fear of US penalties. Speaking to AFP, Lithuanian Prime Minister Saulius Skvernelis said Vilnius would push for Israel's public security minister to address the EU home affairs council "over terrorism threats and other security issues". "We want the discussion to happen as it would help to seek compromise on complicated international issues," he said, without going into further detail. Netanyahu is in Vilnius for a four-day visit -- the first-ever by an Israeli premier -- to boost bilateral ties and build support for Israel's interests in the Middle East. Although Lithuania backs the EU position on a two-state solution to the Israeli-Palestinian conflict, the status of Jerusalem and the Iran nuclear deal, Skvernelis has said he wants more direct dialogue between the EU and the Jewish state. Lithuania, one of Israel's stronger allies in the European Union, was behind Netanyahu's invitation to meet with EU foreign ministers last December, irking some Brussels officials. Officials said no date had been set for the proposed talks and that the format would depend on reaction from Brussels and other capitals in western Europe, which tend to take a more critical line on Israel over its occupation of Palestinian territory. The prime ministers of Latvia and Estonia joined Netanyahu and Skvernelis for talks later on Friday. "We have had not only a meeting of the minds but also a meeting of the hearts," Netanyahu said following the talks, noting that his family "came from Lithuania over a century ago to what is now Israel". "The fact that the governments here have taken a strong position both on restoring Jewish sites and on fighting anti-Semitism so unequivocally, so clearly, is something that we appreciate deeply." 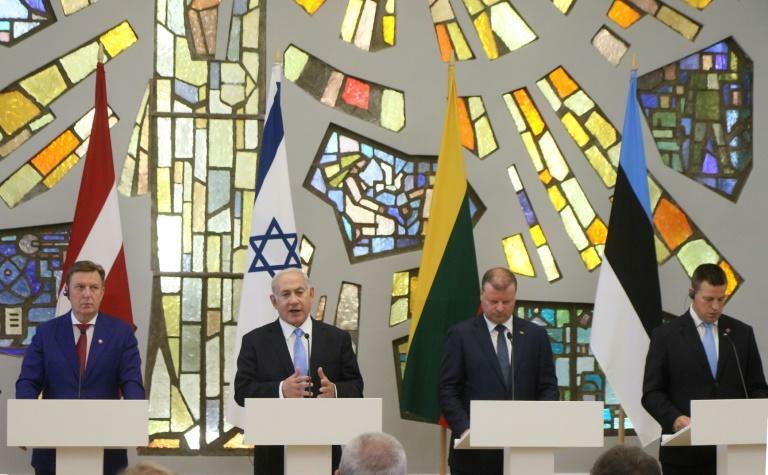 Netanyahu will also meet members of Lithuania's Jewish community and visit a memorial to Jewish Holocaust victims there. Lithuania was once a hub of Jewish learning and home to more than 200,000 Jews before World War II. Over 90 percent of Lithuania's Jews died during the 1941-1944 German occupation at the hands of Nazis and local collaborators. Today, Lithuania has a population of 2.9 million population with its Jewish community numbering around 3,000 people.